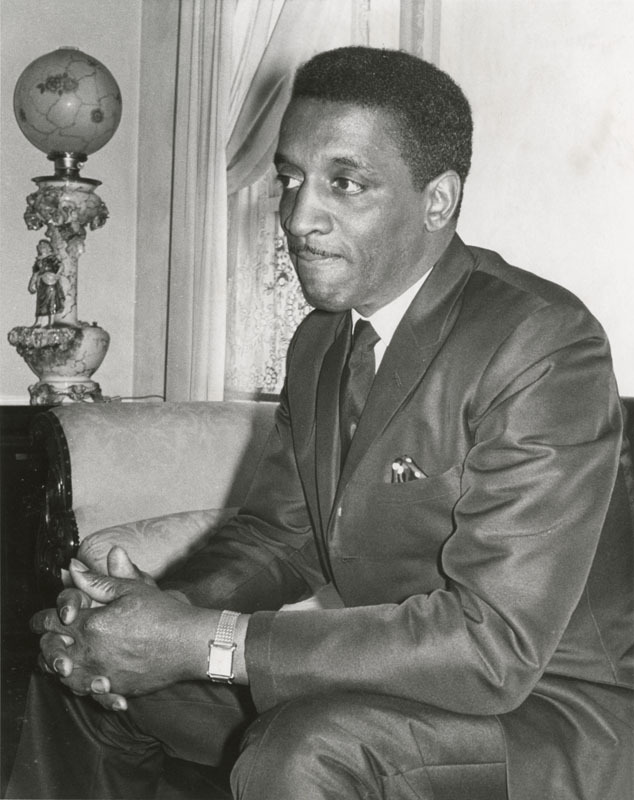 Robert Clayton Henry was the mayor of Springfield, Ohio from 1966 to 1968 and was the first African American mayor of an American city. 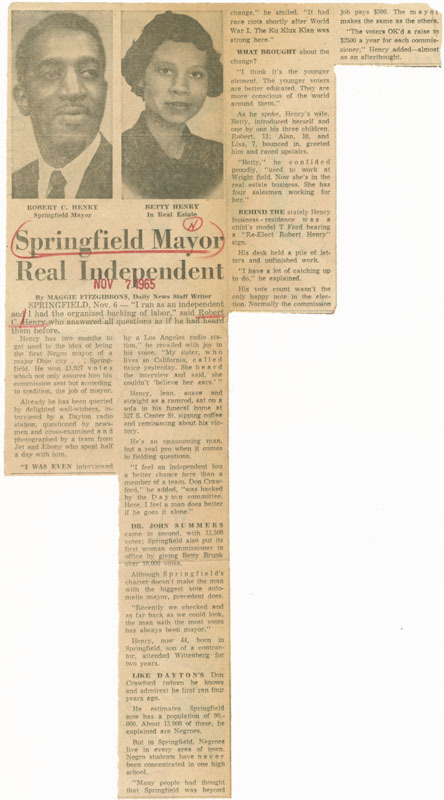 In 1961 he was elected to Springfield’s commission until 1966, when he was appointed mayor. He only served one term and refused to run for re-election so he could pursue other political ambitions. During his political career, Henry was selected as a member of a fact-finding commission to Vietnam by order of then-president, Lyndon Johnson, and later returned in 1970 under Richard M. Nixon to inspect non-military activities. In 1972, he was the Republican Party nominee for the 60th District seat in the Ohio House of Representatives, but lost in the election. Aside from a political career, Henry was also the owner and operator of the Robert C. Henry Funeral Home, founded in 1951. Henry was born in Springfield and attended Wittenberg University. He also went to the Cleveland College of Mortuary Science in Cleveland, Ohio for his degree in mortuary studies. 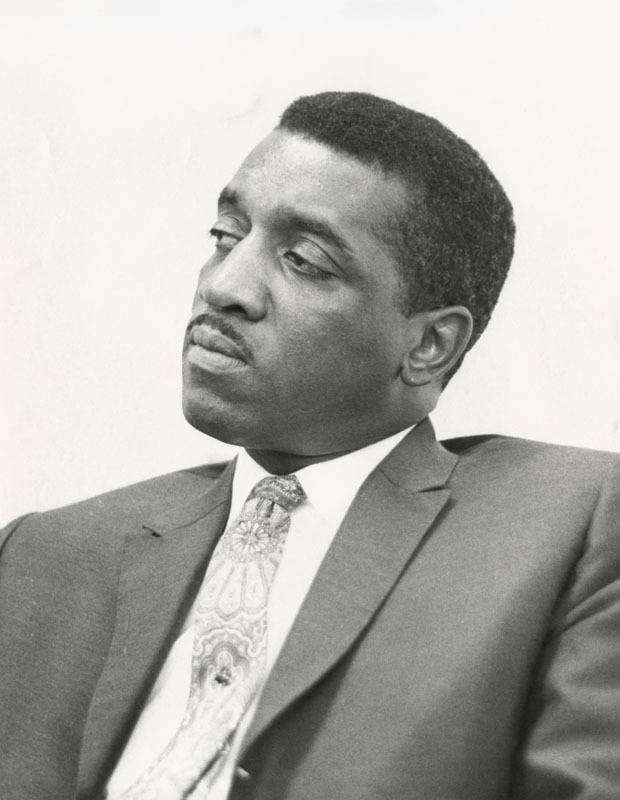 He received an honorary Doctorate of Humane Letters degree from Central State University in 1968. Henry is honored by a parade in Springfield on Robert C. Henry Day during Black History Month. A fountain in downtown Springfield was dedicated to his memory. This entry was posted in DDN and Dayton and tagged Black History Month, Robert Henry, Springfield. Bookmark the permalink. This article is about my father. This is very nice & well written. What a nice surprise to see this! Thank you. Hi, Lisa- We’re so glad you liked it! Thanks for taking the time to tell us! Great article! My daughter’s grandfather.